Who doesn’t love a good bank holiday weekend? Mine included a huge range of things from playing in the garden with the kids, to a blogging conference, to ice-skating and dress making. Sadly no chance to bake anything but there are a few lovely entries to last week’s linky to get your mouth watering. Alison from Dragons and Fairy Dust make these lovely Jam Jar Cheesecakes, a really simple idea that would be perfect for picnics as an easily transported desert. From Mummy Makes Cakes at Jaisee.com we have another version of cheesecake, this time very definitely for adults only. A Baileys and White Chocolate Cheesecake that’s perfect for a lunch date with friends. 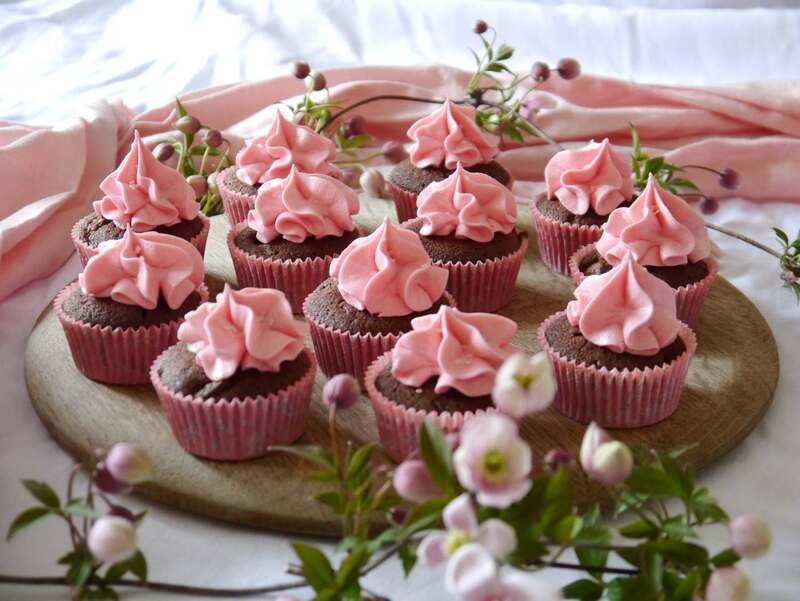 Finally my own Chocolate, Cherry and Vanilla Cupcakes which I made for our preschool Vintage Tea Party last weekend – a simple twist on a classic recipe. I’d love to see what you’ve been making in the kitchen this week, whether for kids or grown ups, baked, stirred or blended link up below to be part of the roundup next week! Thank you for commenting on my post, and thank you so much for the invite! Copyright © 2019 Modern Family Baking. Powered by WordPress and ThemeGrill.